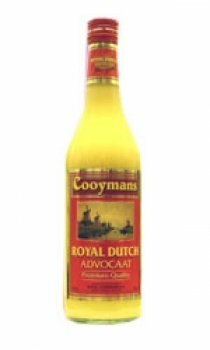 Cooymans Royal Dutch Advocaat is produced in Holland by one of the oldest and most famous Advocaat producers. The House of Cooymans was the first distilling company in Holland that has been priveleged by Her Majesty The Queen of the Netherlands to call itself 'Royal Distillers' and to bear The Royal Coat of Arms. Cooymans Royal Dutch Advocaat is always produced to the same high standards that have also made Cooymans one of the biggest Advocaat producers.